Micro loans help hard working people in developing countries to help themselves. They give people the opportunity to move from dependence on aid to financial self-sustainability. A portion of the hosting fee from every client at The Good Website Company each month is donated to fund a loan to help people in developing countries to change their lives by starting or growing a business. At The Good Website Company a portion of our clients' hosting fee each month is donated to a micro loan to help someone in a developing country start or grow a business. Meet the business people that are currently being helped thanks to our customers. We give our customers updates as to how these micro loan recipients are doing, how their businesses are developing and the impact this is having on their lives and the lives of those around them. Ashenefech is 29 years old and runs a small business by raising sheep. She lives in World Vision's Mehalmeda region in Ethiopia. Ashenefech has raised sheep in this area for more than five years. 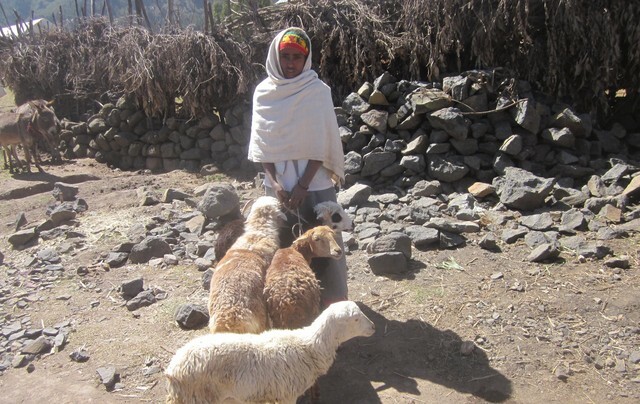 Ashenefech requested a loan from World Vision to expand her business as she would like to purchase sheep. This loan will help her to raise and sell more sheep which will increase her overall income. With her new income Ashenefech will help her family and continue to invest in her sheep business to keep it growing. Ashenefech successfully repaid her small business loan! Thanks to the loan she was able to use the profits from her business to provide healthcare, do home repairs and purchase food for the family. In the future Ashenefech aspires to earn enough to start a new business and repair or expand the family home. These funds, which you donated, are now available to help other entrepreneurs in Ashenefech's community. We think Elilumba has a great smile! Elilumba is 56 years old and has one child but she is also caring for her three nieces because her younger sister passed away. She has operated her small business in the Kisiriri region in Tanzania for the past three years selling secondhand clothes to customers in her community. She also has a second business where she raises sunflower and peanuts. This second business provides a supplemental income which Elilumba needs to support her family. Elilumba has asked for a loan to buy clothes to increase her overall income. Elilumba will use her new income to pay for school fees, provide her family with health care, and invest in her business. Elilumba invested her small business loan of $200 to purchase clothes for resale. She has now fully repaid her loan. With the profits from her business Elilumba has been able to pay school fees and provide healthcare. Elilumba's goal for the future is to earn enough so that she can start a new business and take out another loan. Because of your help Elilumba's four children remain in school. The loan is now being recycled in the community to help someone else. Rabeca and her husband opened a small restaurant about six years ago in the Kilimatinde region in Tanzania. She started her restaurant because she has two children and needed a way to care and provide for them, at the same time. Rabeca wants to make sure her children have educational opportunities. Her restaurant is doing well and her children are growing. Therefore, Rabeca is now ready to expand her business and has asked for a loan. With the loan, Rabeca will buy the ingredients she uses the most of, in bulk quantities, which will reduce her overhead costs and increase her overall income. This loan will help Rabeca create a sustainable and thriving restaurant. Rebaca will pay for school fees to keep her two children in school, she will make sure her family has access to health care, and she will continue to invest her restaurant to keep it growing. Rabeca invested the $250 into her food services business by purchasing ingredients in bulk for making the food she sells. She made monthly loan repayments of $7 and has now repaid the loan in full. Rabeca was able to use the profits from her business to pay her children's school fees, do home repairs and maintain or repair cooking equipment..In the future Rabeca aspires to earn enough to continue sending her children to school, expand her current business and take out another loan. The loan is now being used by someone else in her community. Mwajuma is 56 years old and runs a small business selling homemade food. She lives with one relative in the Mswaki region in Tanzania. Mwajuma has prepared and sold food in this area for more than five years. She also has one employee who helps her run her business. Mwajuma has requested a loan to expand her business. She would like buy sugar, wheat flour, and cooking oil. 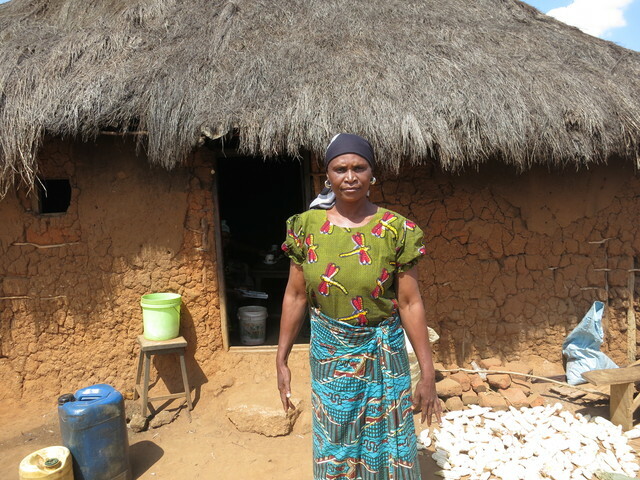 Mwajuma invested her small business loan of $175 to buy sugar, wheat flour and cooking oil. She has made monthly payments of $3 and has now fully repaid her loan. With the profits from her business, Mwajuma decided to provide healthcare, purchase food for the family and cultivate a farm. Mwajuma's goal for the future is to earn enough so that she can expand the current business and repair or expand their home. Her loan is now being used by someone else. Elijah is 41 years old and lives with his family in the Kabarnet region in Kenya. For the last six years, Elijah has operated his small milk shop within his community, to help provide for his family.Elijah has asked for a loan from World Vision to buy more milk stock. The loan will also help him to expand his business, grow his income and help him to provide for his family's daily needs. Elijah is the father of four children, who are currently studying in school. Elijah invested his loan to buy more milk for improving his inventory and sales. Elijah made monthly loan repayments of $6 and has now repaid the loan in full. In addition to repaying his loan, Elijah has used his additional income to pay his children's school fees, purchase food for his family and expand his current business. The loan Elijah received helped his business expand, and the profits he is earning create lasting improvements in his life. In the future Elijah hopes to continue sending his children to school, further expand his current business and take out another loan. Meet forty year old Alfred who lives in the Winam Urban region in Kenya. Alfred operates a small water vending business to support his wife and four children. The problem Alfred faced was familiar to most business owners - he lacked the capital to purchase more supplies so that he could grow his business to fully support his family as three of his children are now attending school. Education is vital for Alfred's children to gain a better life. Retail is a quick and scalable way for people in developing countries to begin earning a profit. Many entrepreneurs begin with stalls at markets or even at home and need a loan to expand or increase their inventory. The Good Website Company is fully funding a loan to Alfred to assist him to buy more supplies so he can expand his business. We look forward to seeing how he achieves his goals! Alfred used his loan to buy supplies. He has now repaid his loan in full and has used his additional income to expand his current business and buy supplies in bulk. The loan Alfred received helped his business expand and the profits he is earning are creating lasting improvements in his life. Alfred's 4 children continue to study in school. In the future Alfred hopes to expand the current business and take out another loan. 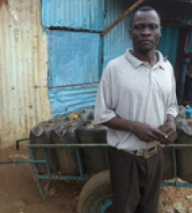 Alfred's loan has been recycled and is being used to help someone else in his community. the Ruvu-Muungano region in Tanzania. As a mother, Aziza started her business as a way to provide for her family and to make sure that her children are able to attend school. because she wants to make sure her children have food to eat and to offer her children educational opportunities. Aziza's new income will allow her to buy food for her family, pay for school fees plus she will continue to invest in her business to keep it sustainable and growing. Who can resist helping this hard working mum? The Good Website Company is helping to fund a loan so that Aziza can purchase more products to help her to grow her business and increase her overall income. We are excited to see how Aziza's business will develop and the effect this will have on her kids. After receiving the loan from World Vision Aziza invested the $625 into purchasing sheets, khanga, sandals, and decorative flowers for reselling within her community. Aziza made the monthly repayments of $11 and has now fully repaid her loan. With the profits from her business, Aziza decided to pay her children's school fees and provide her family with healthcare. Her goal for the future is to earn enough so she can continue sending her children to school and open a business premise. Aziza's three children remain in school and because of your donation Aziza is able to provide a better future for her children so thanks! The funds you provided are now being recycled to support another hardworking entrepreneur in the same community. income which Mvara needs to support his family - a wife and two children. In areas where the poor live alongside the more affluent, businesses in the service sector like Mvara's can be very successful. 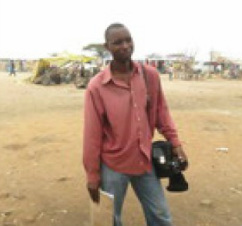 Mvara needs a loan to expand and improve his photography business. He would like to buy the supplies he needs so he can take more photos. This loan will allow him to create a business that will support his family. Mvara will use his new income to buy food and to pay for school fees. In the future, Mvara wants to build a house for his family so they will have a comfortable place to live. The Good Website Company is honoured to be helping this creative and entrepreneurial man. 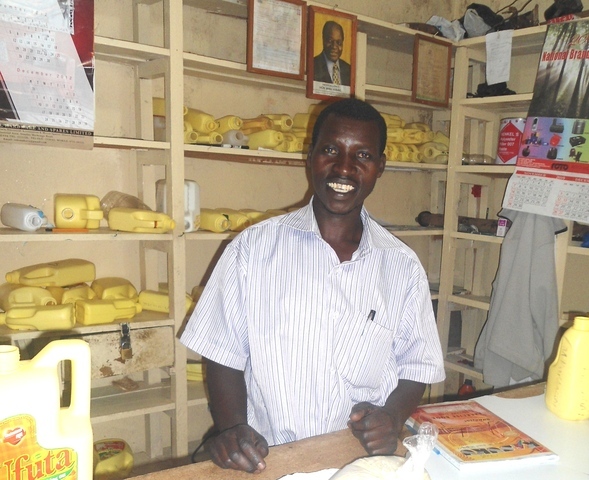 Mvara invested the $250 into buying the photography supplies he needs to run his business successfully. He made the monthly repayments of $7 and has fully repaid the loan. With the profits from his business Mvara decided to pay his children's school fees, provide food for his family and purchase fertilizer. Mvara's two children remain in school because of your donation. This loan has now been recycled to help another entrepreneur in this community. Neema, 25, has two children and is saving for a home. 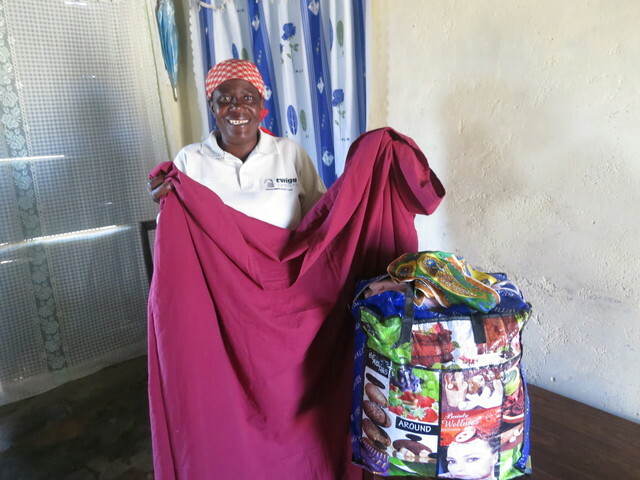 To help her reach her goal she started her small business last year in the Magugu region in Tanzania. She sells rice to customers in her community. Neema will use a loan to buy more rice to help her to increase her sales and overall income, which she will use to buy food for her family, pay school fees and continue to invest in her business to keep it growing. 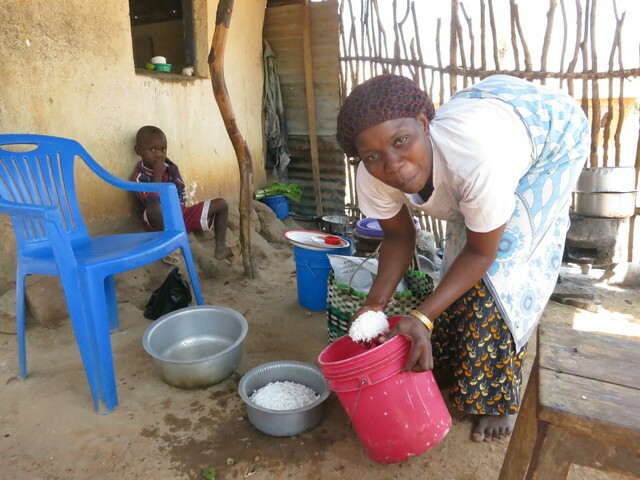 Neema invested her loan into purchasing more rice to improve her inventory and sales. Neema has now repaid her loan in full. In addition to repaying her loan she has used her additional income to purchase school supplies and provide her family with healthcare. Neema hopes to continue sending her children to school and start a new business. These funds are now being recycled to support another eager entrepreneur in the same community!